Having spent the last week in Abu Dhabi, I am woefully out of touch with goings on at KES, but I have never been so immersed in the heart and soul of education. As you may know, King's-Edgehill School and its financial partners from the UAE (Mindlink LLC) have applied for and been granted land and license to build and operate a school in Abu Dhabi. 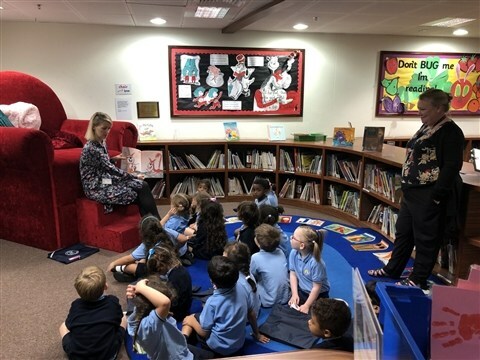 Much bigger than the mothership, King's-Edgehill School Abu Dhabi (KESAD) has a capacity of 2,100 students from Junior Kindergarten to Grade 12. We have met with a wide variety of people on this trip, from Canadian Embassy staff to wholesale distributors of school supplies and furniture. It has been a fascinating, invigorating, and reassuring trip. 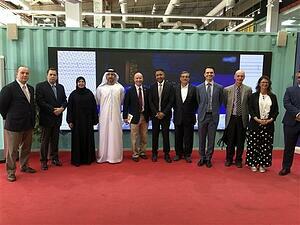 The UAE may be an ancient land but there are more than a few innovative vertebrae in its cultural spine. A visit to the ultra-modern planned city of Masdar brought us deep into the heart of a city designed to be sustainable (ride share bicycles and Tesla (!) cars, clean energy sources and electric buses, etc. ), which hosts forward-thinking businesses who incubate new ideas and attract talented engineers and designers from around the world. MIT has a campus there. One of the think tanks is devoted to creating the best educational environment, programme, and software in the world. We had a tour of a "test school" and were amazed at the research and design and data collection that has gone into answering the simplest of questions: what is the best way to educate children? After 230 years of tradition and teaching, there is an opportunity for King's-Edgehill School to be at the forefront of educational philosophy, program delivery, and leadership in the world. Needless to say, my lack of sleep here in the UAE has as much to do with excitement as it does with jet lag. Architectural renderings are supposed to be impressive. The recent Ministry of Education approved designs for KESAD are unbelievable. They are gorgeous and functional, and take into account everything from the movement of the sun and the shade cast by the buildings, to the movement of students between classes. Over the last year, I have been afforded input and in a presentation by our UAE architects this week, I was astounded to see that every suggestion and criticism I had communicated previously has been addressed. We are limited by the size of our plot of land, but the maximization of space while remaining elegant is impressive. I can hardly wait to see it built. The Ministry of Education here has a department of Creativity and Happiness. One of their initiatives this year is dedicated to serving others and raising awareness of the needs of the less fortunate. It is called the Year of Giving. I am sure there are challenges that the government faces which are well beyond my understanding, but I love the idea of having a programme of creativity and happiness. Simply put, no one learns anything if they are not happy. And, quite frankly, childhoods should be filled with joy. Being happy, as I am now, is pretty great too.